VDB Shower Drains > ABS Shower Drain With Fitted Membrane 500x500mm. 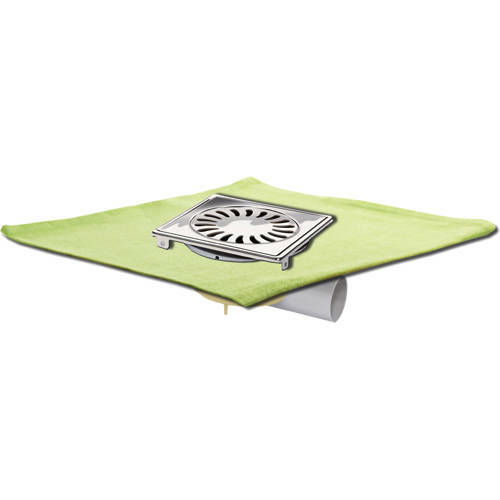 Van Den Berg ABS shower drain with factory-fitted membrane 500x500mm. Polished stainless steel frame and grating. Frame and grating in height adjustable and 360º rotatable. Opening in the edge to collect water. 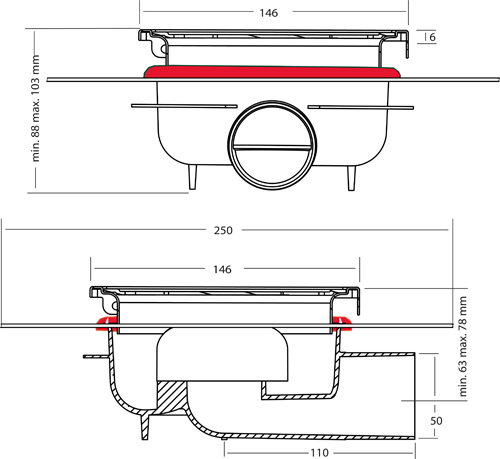 Glueable horizontal outlet ø 50 mm.